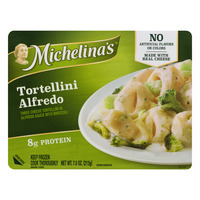 Michelinas Frozen Dishes, Managed Calories, Tasty And Protein Filled! 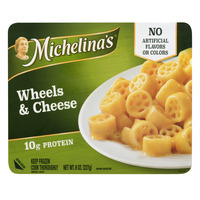 Michelinas Frozen Dishes Start With A Little Pasta! 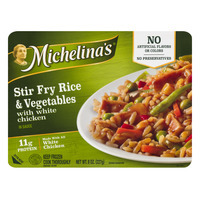 Michelinas Frozen Dishes are very decent quick meals (as all frozen meals are) for busy people. If you're working on a project and don't want to take the time to make a meal from scratch, these dishes are a great way to easily satisfy your hunger fast. 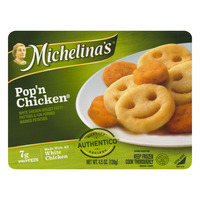 Pop them in your microwave or oven and enjoy! 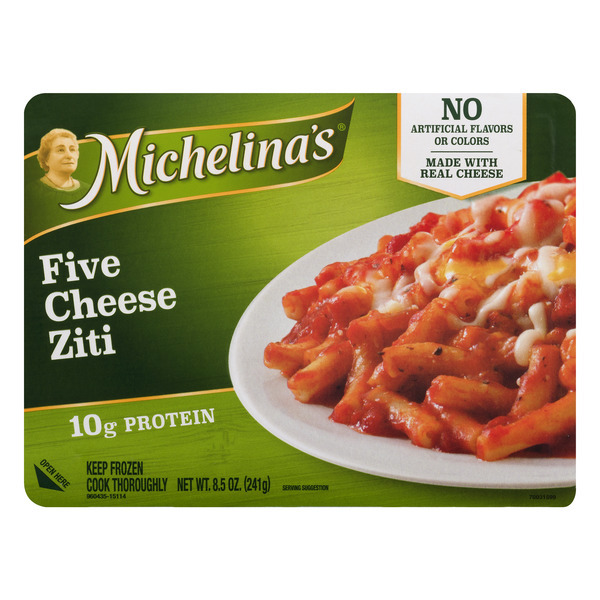 "One Package: 320 Calories, 5g Saturated Fat, 650mg Sodium, 2g Sugars And 10g Protein." 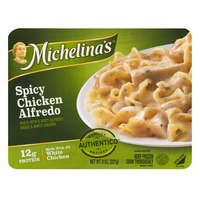 "One Package: 250 Calories, 3.5g Saturated Fat, 710mg Sodium, 2g Sugars And 10g Protein." "One Package: 200 Calories, 4g Saturated Fat, 900mg Sodium, 2g Sugars And 8g Protein." 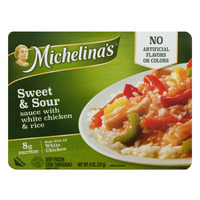 "One Package: 350 Calories, 8g Saturated Fat, 680mg Sodium, 2g Sugars And 14g Protein." 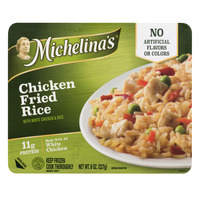 "One Package: 290 Calories, 4g Saturated Fat, 580mg Sodium, 3g Sugars And 12g Protein." 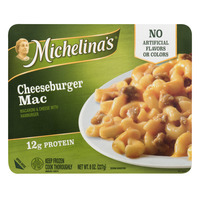 "One Package: 240 Calories, 3g Saturated Fat, 660mg Sodium, 2g Sugars And 11g Protein." 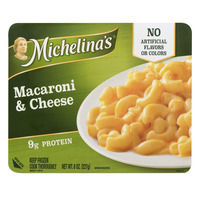 "One Package: 290 Calories, 4.5g Saturated Fat, 610mg Sodium, 2g Sugars And 9g Protein." 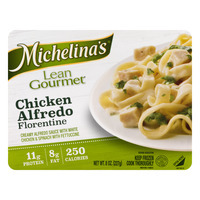 "One Package: 250 Calories, 2g Saturated Fat, 360mg Sodium, 6g Sugars And 10g Protein." 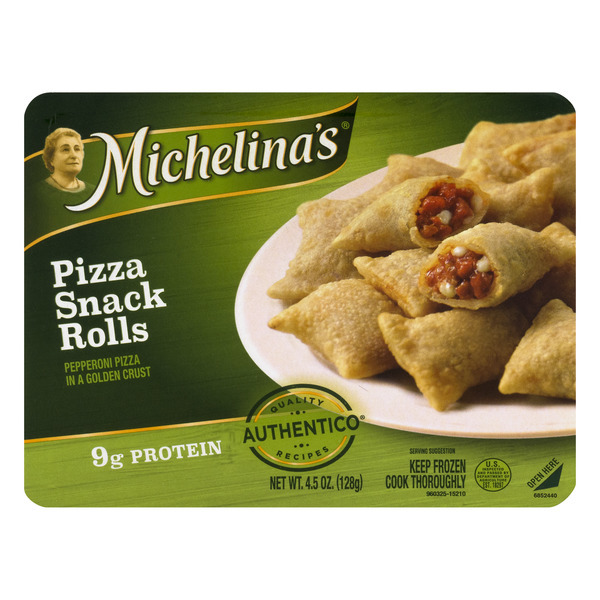 "One Package: 290 Calories, 5g Saturated Fat, 800mg Sodium, 2g Sugars And 12g Protein." 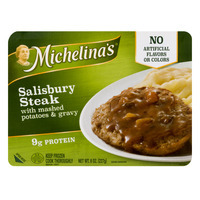 "One Package: 220 Calories, 3g Saturated Fat, 960mg Sodium, 7g Sugars And 8g Protein." 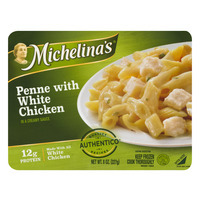 "One Package: 270 Calories, 1.5g Saturated Fat, 760mg Sodium, 3g Sugars And 9g Protein." 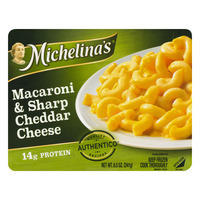 "One Package: 410 Calories, 1.5g Saturated Fat, 890mg Sodium, 2g Sugars And 11g Protein." 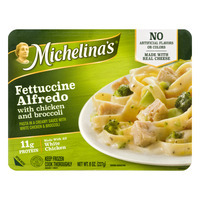 "One Package: 280 Calories, 5g Saturated Fat, 750mg Sodium, 4g Sugars And 12g Protein." 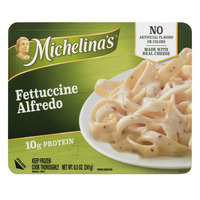 "One Package: 330 Calories, 0.5g Saturated Fat, 600mg Sodium, 18g Sugars And 8g Protein." "One Package: 200 Calories, 3g Saturated Fat, 850mg Sodium, 3g Sugars And 9g Protein." 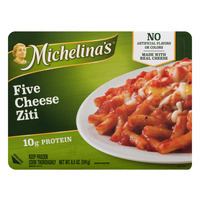 "One Package: 250 Calories, 4g Saturated Fat, 590mg Sodium, 3g Sugars And 11g Protein." "One Package: 420 Calories, 4.5g Saturated Fat, 850mg Sodium, 2g Sugars And 11g Protein." 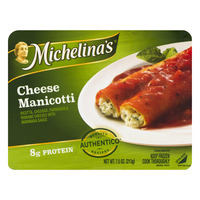 "One Package: 250 Calories, 1.5g Saturated Fat, 430mg Sodium, 1g Sugars And 7g Protein." 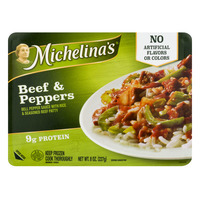 "One Package: 320 Calories, 4g Saturated Fat, 630mg Sodium, 3g Sugars And 9g Protein."